I actually had to dig out my unworn souvenir t-shirt to find the exact date, because I couldn’t find my copy of The Book. Thirty years ago, June 8, 1984 to be exact, I was one of the “100 of the world’s best photographers” shooting on the Day in the Life of Canada book project. Pretty heady stuff for a 26-year-old. The whole thing was a bit intimidating. Famous photojournalists were everywhere. Photojournalists who’s work graced the pages of Time and Newsweek, Life and National Geographic hung out at the bar, chatted in the lobby and shook your hand in the hotel check-in line. The cool and calm conflict photographer James Nachtwey was on my flight to Vancouver. My room mate was Roger Ressmeyer, who did several stories for National Geographic. His fun portrait of two children, one dressed for her first communion was later chosen as the cover. We Canadians, mostly young newspaper and wire service shooters hung together at the Toronto social events and quietly wondered if we had “it” to compete against the big guns. I spent my day in Vanderhoof, BC a sawmill town west of Prince George and Fort Saint James, a smaller town about an hour north. I started my day at dawn shooting the sawdust burner at the local saw mill, then heading out to a nearby dairy farm for morning milking. Later my local guide and I headed north, visited a reserve and then ended up back in Vanderhoof in a bar. And then the wait. Several weeks passed without knowing if I would be published in the book. Then a call from an editor asking for more cutline information and I knew the picture shown above would be in the book. Whew! The editors selected another picture, a portrait of a local fellow taken in the bar, for inclusion in the travelling print show. A year later I saw that show in Winnipeg. 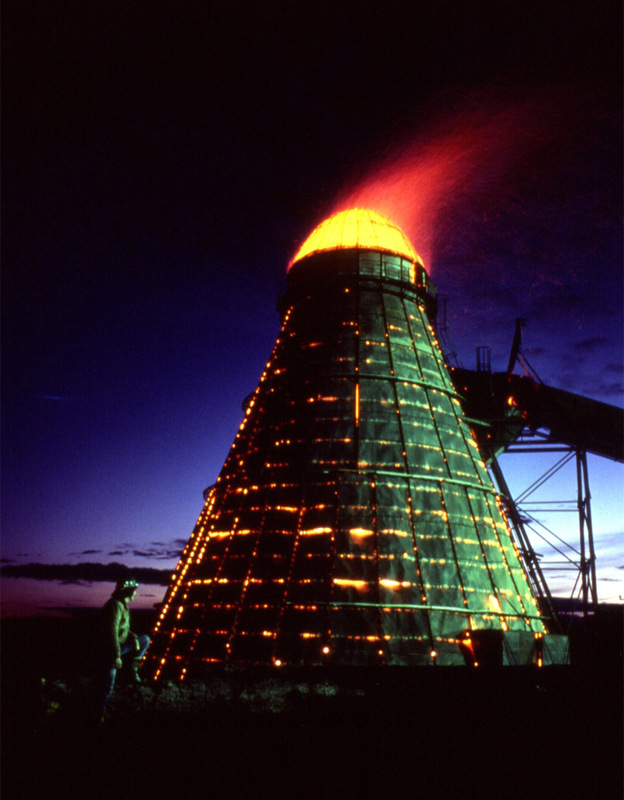 My sawdust burner picture was printed huge – perhaps 40-inches tall – one of the largest on display. The project was good for my ego and my career. It opened doors for me, got my name around and led to a couple of other book projects, some magazine work and representation by an up and coming stock photo agency. A couple of days after I initially wrote this post I found my copy of The Book, tucked away in our basement storage room. It was great to flip through it again. WOW! I have that book! Really enjoy looking at all the magnificent photographts of Canada. Congratulations. Hi Fred … thanks very much for your kind words.